Black Lives Matter At School is excited to announce the livestreaming of the sold out Schomburg Center event tonight, Friday, February 8th, titled, “Making Black Lives Matter in New York City Schools.” The event will be held from 6pm–8pm Eastern. We encourage educators, students, parents, and everyone concerned with racial justice to watch this important event–and then bring the ideas back to your own communities to make change. 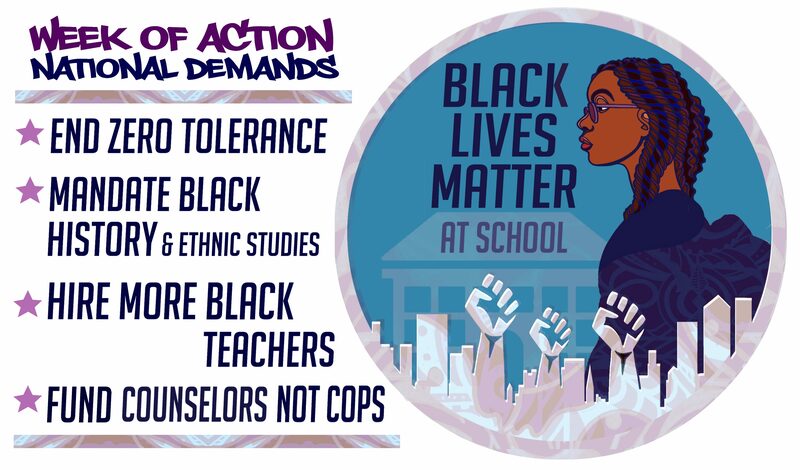 As part of the nationwide campaign, Black Lives Matter at School Week (Feb 4-8), this discussion will consider recent developments in education policy in New York City in relation to structural racism. Public school parent and award-winning journalist Nikole Hannah-Jones joins teacher José Vilson and high school students Xoya David and Joshua Brown to talk about what needs to change for Black Lives to truly matter in our schools. Following this program, the Schomburg Junior Scholars program will be hosting it’s 3rd Annual Black Lives Matter TeenConferencec and Teen Open Mic Night on Saturday, February 9. Please note that holding seats in the Langston Hughes Auditorium is strictly prohibited and there is no food or drinks allowed anywhere in the Schomburg Center. Programs are photographed and recorded by the Schomburg Center. Attending this event indicates your consent to being filmed/photographed and your consent to the use of your recorded image for any all purposes of the New York Public Library. Please send all press inquiries (photo, video, interviews, audio-recording, etc) at least 24-hours before the day of the program to Ayofemi Kirby at ayofemikirby@nypl.org. Please note that professional photography and video recordings are prohibited without expressed consent. Thank You To Everyone Who Made BLM@School A National Success!